THE Akwa Ibom State University (AKSU) school management has released first choice admission list of candidates who are offered provisional admission into the Institution for the 2018/2019 academic session. 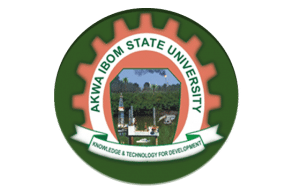 The Akwa Ibom State University, AKSU 1st batch admission list for 2018/2019 released has been uploaded on the college’s portal for checking. All the candidates who participated in the AKSU screening test can now proceed to check their admission status. Click on the “Search” button to view your admission. According to the management, the releases of names of admitted students is still ongoing and those who have not seen their names are advised to check back as the list will be frequently updated. Candidates whose names are not on the list yet are requested to visit the nearest JAMB CBT Approved Centre to upload their WAEC/NECO/NABTEB result, so as not to forfeit their chances of gaining admission into the Institution for the 2018/2019 academic session. Successful candidates are required to logon to their JAMB CAPS profile to either accept or declined the admission offer. If accepted, you are to proceed with the payment of your Acceptance Fee on or before Friday, 7th September 2018.